Q. Do, I, as a chiropractor, treat the spine for spinal conditions? A. No. 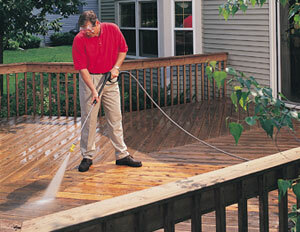 A treatment is something you do to windows or a deck. You are a person. You may be a person in spine pain. You may be a person lacking energy. You may be a person having a great day. You may be a person having a bad day. But I won't treat you. I help you harness the Chiropractic Lifestyle so you can meet your own personal goals of success and purpose. I hope you want to do that with the most natural and least invasive way where you are empowered in your health care decisions. Q. What is the Chiropractic Life-Style? A. It is a mind-set where you understand that the body is self-regulating, self-governing, self-healing. The body always tries to self-balance when stress is incurred. The body will rebuild over and over again if the stress is not overly burdensome. The Chiropractic Life-Style concentrates on ways to boost the nervous system so it can govern the body appropriately. Anything that is opposite of our "boosting actions" is a depleting action that harms the body's resilience. Q. What are these boosters and stressors? A - Activating the nervous system -- the opposite (stressors) is not getting chiropractic adjustments on a maintenance schedule, repetitive injuries, repetitive strain, poor posture, inadequate exercise. P- Pursuing Life --- the opposite is not having a life purpose, living in an isolated manner, feeling out of control and having a poor outlook. Q. What else is important about the Chiropractic Life-Style? A. Understanding that healing is a constant process. We are healing even when we are feeling good and don't realize the damage we have suffered. This is why we should adopt this kind of lifestyle. It is proactive and time-saving, as well as life-saving. My recent article in the Citizen. ---See you at the table....the chiropractic table. Social media online can be very useful. Folks do their own research as they shop for a product. I use it to converse with other chiropractors who have similar interests. One of my colleagues was not too pleased to have a commenter leave numerous unproductive remarks on her discussion page. She was planning on banning the person from the forum but wondered if it would be more productive to engage the person and perhaps provide some education. This repeat offender made the remark that offering chiropractic to babies was horrifying. Now, to us chiropractors who have been adjusting babies our entire careers, we are saddened to face such an attitude that shuts people off from the powerful life changes we constantly witness in our offices. I’ve been adjusting my son since he was four days old. He’s been adjusted when he was sick, when he was well, and after many falls and injuries that children endure. He has also been adjusted by other chiropractors. Children have spines, just like adults, and adjusting them is not that different. In fact, they are much easier. Getting them to sit still to assess their spines is probably the most challenging. For something that is very natural to us, we forget that other people have yet to comprehend such an idea. So, pretend you are a chiropractor for a moment and see the world through our eyes. Most people don’t watch chiropractors give adjustments because the health care norm is to place people in a private room for a consultation and treatment. The learning atmosphere was much different in the group settings of chiropractic college. Similar to gatherings at healing retreats and seminars, there is an inspiring intent shared by the participants. 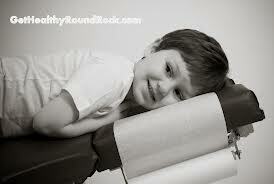 It is this excitement that brings chiropractic alive as it is used to enliven. And watching children get adjusted conveys that beauty. They don’t question it. They don’t obsess over symptoms or make comparisons to someone else’s ideal of wellness. Once they get adjusted they instinctively know it was something special. In the same manner that we lose our childlike curiosity and creativity as we grow up, we starve ourselves from our natural state of well being. We can’t live the carefree life of childhood but we have the opportunity to remain as connected as possible to the innate energy that guides us through healing, feeling, thinking and learning. What allows you to make an impact in the world? It takes a lot of desire, dreaming, and elbow grease. We develop these traits as our whole being absorbs life around us. The brain, body, and emotional spirit rely on the intricate connection of nerves and electrical impulses. How nerve impulses travel through the body shapes how a person lives, achieves, and cares. Is it horrifying to give a child or an adult the best chance to be alive? I hope not because that is the main objective I have for everyone I meet in the office. If you think chiropractic can’t be more than a limited clinical tool, I invite you to step into my world. A lot of the Affordable Care Act goes into effect in 2014. 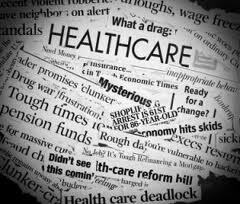 The Affordable Care Act is designed to finance health care, but that does not mean there will be efficient health care. Financing health care does not mean providing health care, either. Nor, will it provide the health care results you want. Life style will always trump health care. The current health care system is a sick care system. In fact, it pays for sick care procedures that don’t really get you better. Many medical doctors are not able to help you get well because medicine is run by pharmaceutical lobbies that have tied the doctors’ hands. If you haven’t seen the documentary “Doctored,” I recommend you watch it. As a chiropractor, I have a very different definition of health and how one goes about obtaining and maintaining health. Chiropractic is not medical. It is not an intervention for symptoms and sickness. Chiropractic is a proactive approach to maintaining your body’s survival system: the nervous system. Your nervous system is the first line of defense to living and healing. The pharmaceutical approach is toxic and damaging to the nervous system. We’ve always known that. Toxic health care will be available through Obama-Care, but do you really want that? Many people may not be utilizing chiropractic enough to really health-build. You may not realize the unique benefits chiropractic provides. As always, I am here to take that journey with you. Read more in next month’s issue on this blog.